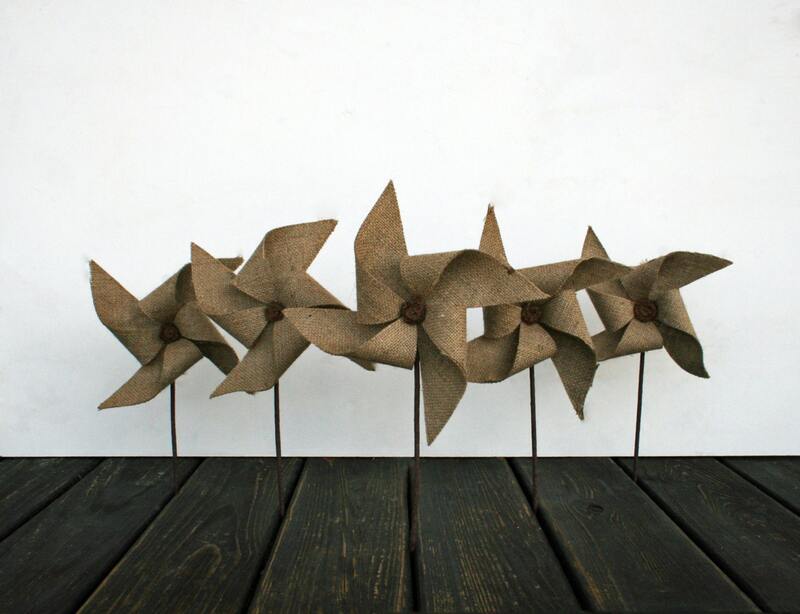 Pinwheels are found scattered throughout history, with the first "sightings" in China around 400 AD where they were elaborate, multi layered works of art. In the 15th century they appeared in paintings with chldren as a toys. George Washington is said to have brought several "whirligigs" home after the Revolutionary War ended, no doubt for the enjoyment of his loved ones. In 1919 an immigrant toy maker from Massachusetts gave birth to the modern day pinwheel which he called a "wind wheel". 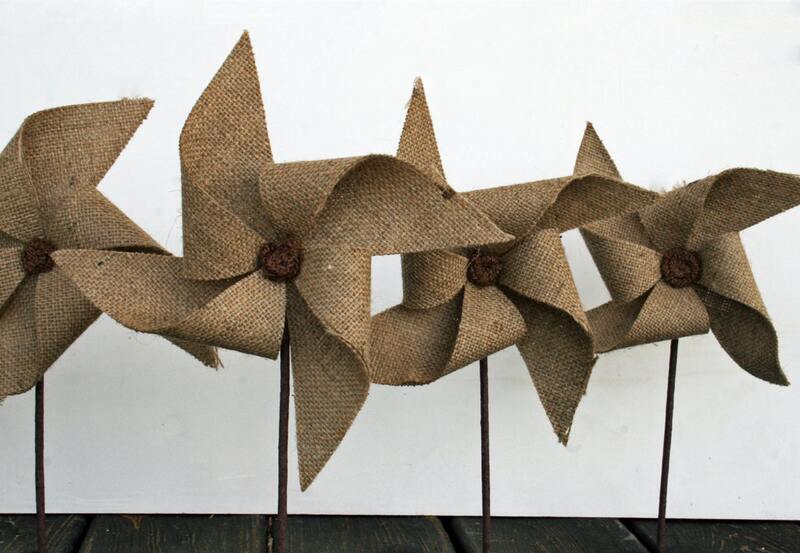 Whether you call them whirligigs, wind wheels, or pinwheels I can almost promise at some point during your childhood you raced around your kitchen table watching the blades of a pinwheel spin slowly. Maybe you blew air into the thin plastic blades to see how fast you could get it to spin only to grow light headed! They were fun and apart of most people's childhood. 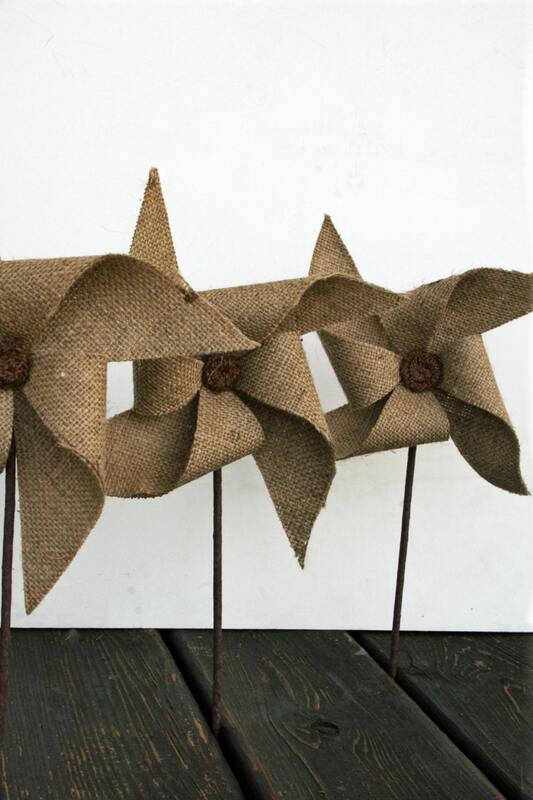 Why not bring some of those childhood whimsical memories to your wedding day with this set of five 8 inch pinwheels. 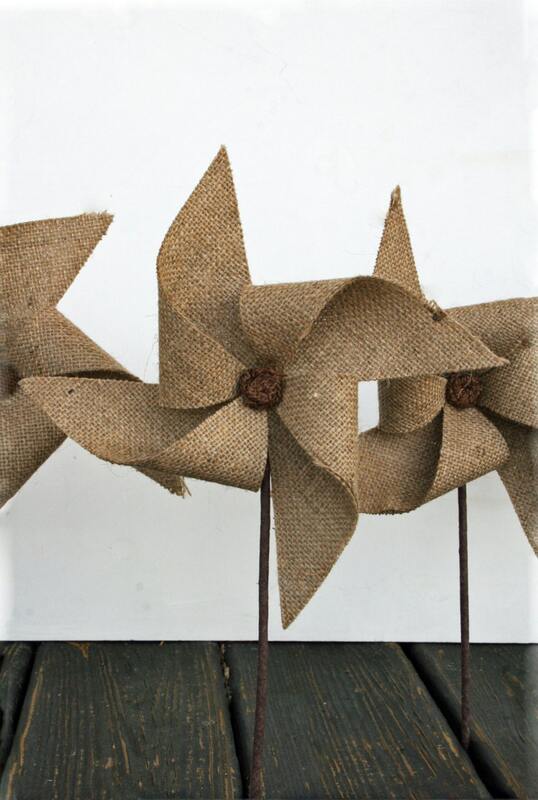 Two pieces of burlap are bonded together for added stability and durability then the pinwheels are hand cut and fashioned. A wooden dowel is wrapped in floral tape but if you choose a more rustic look we can use birch twigs. These pinwheel do not spin. 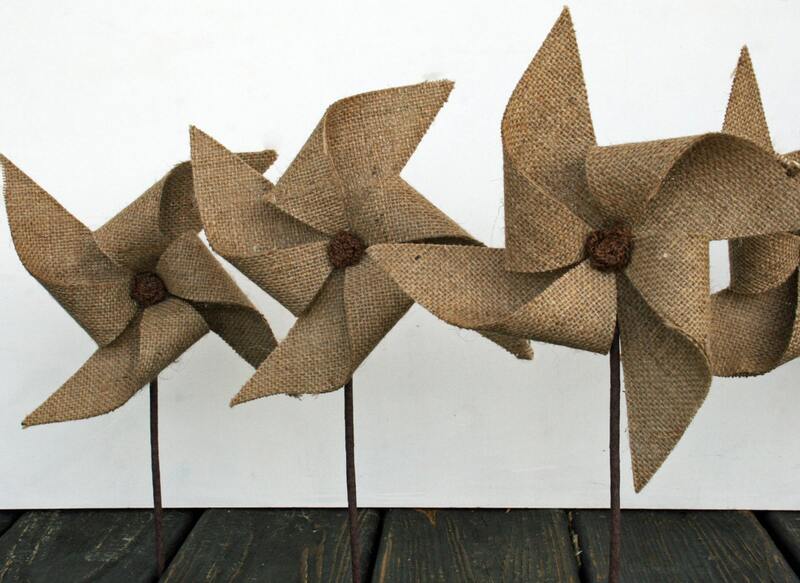 They are perfect for floral arrangements or party favors. Discounts are available for large orders. Please send me a convo to inquire about discount rates.